Want To Start Growing Marijuana Indoors? An increasing number of people are becoming interested in using medical marijuana. If you are one of these, chances are that you are thinking of ways of ensuring that you grow the marijuana yourself. Doing so has a number of benefits, including the fact that you will be in control of the quality of the marijuana more directly. When you buy the marijuana from some sources, you can never be too sure about how pure it is. There are some sellers who might lace it with other products that may reduce the overall potency of the marijuana. This can be avoided by carefully choosing where you buy the marijuana from, or growing it yourself. 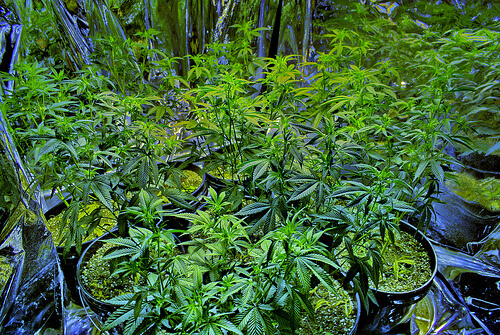 Marijuana plants tend to grow in life cycles. Their needs vary slightly during each part of the life cycle, so you might need to change how you take care of them at different points in time. Generally speaking, the marijuana plants have two basic life cycles: vegetative and flowering. The plants usually sprout during the spring, grow during the summer and then start making flowers or pollen. During the winter, the plants tend to die off. Understanding this will make it easier for you to know when to start growing the marijuana, or what conditions to subject them to. The benefit of growing them indoors is the fact that you can change their environment to mimic a particular season. For instance, you can subject them to more light than heat during the winter, so as to spur them to grow despite the fact that this might not be their natural time to grow. Where can you get the seeds from? • Indica: These are usually shorter and bushier than other marijuana plants. When smoked, they tend to produce a body high, which might make you more relaxed. It’s an ideal strain for when you are interested in alleviating chronic pain. • Sativa: The Sativa strain is notable for the fact that it causes a mental high. It is the ideal type of marijuana to smoke when you are interested in its effects on mood. This strain usually needs more space to grow, since they often become tall and spread out. In addition to that, they also need more light. If you are interested in growing sativa, you will need to be more patient with them, since they take a bit longer to mature. It’s also important to invest in plant training to make them grow indoors. • Hybrid: These are a combination of the above. They are usually easier to grow and are very common. In order to grow marijuana indoors, you will need to invest in equipment such as grow tents, fans, growing supplies and general measures such as preparing the room you want to plant them in. You can expect to spend between $100 and $1500 depending on the size of the project you have in mind. Most people who want to use the marijuana for medical reasons tend to be satisfied with only a few plants. For this reason, you should expect to spend around $100 or even less. Where should you grow them? You can grow the marijuana anywhere you have space in the home. This includes areas such as an unused bedroom, the garage, basement or even the attic. There are even cases where an individual grew the marijuana in a closet. Most authorities recommend the use of a grow tent, which is a small tent you can place indoors and which you can grow the marijuana in. They are usually cheap and very effective, and will make growing marijuana indoors very convenient. Most of them come with nearly all the features that you need to grow marijuana, including the light bulbs.